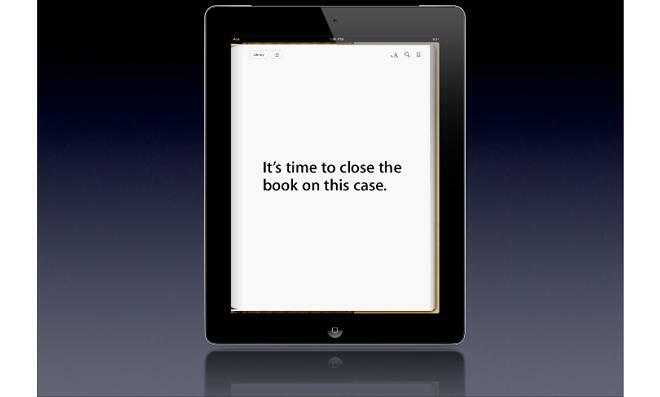 In the concise filing, the Second Circuit referred to a three-judge panel Apple's request for a stay of class notification, as well as another for the damages trial as a whole, on appeal of a 2013 ruling that found the company guilty of e-books price fixing. Further, the court granted an administrative stay of class notification, which U.S. District Court Judge Denise Cote granted to a group of consumers in March, scheduled to be disseminated on Monday. As noted by Reuters, the order comes two days after Judge Cote denied the same two Apple motions, including an administrative motion to stay class notice ahead of an appeal. Apple lawyer Theodore Boutrous said in a letter to Judge Cote on Wednesday that the release of notification of class certification scheduled for Apr. 28 would cause irreparable harm to the company. Plaintiffs in the case, which include a class of consumers and state attorneys general representing 33 states and territories in parens patriae capacity, have been pushing Judge Cote to get proceedings underway. The suit has already seen a delay from May to July.